Do you suffer from low back pain and live in the East Bay? We would like to help. Low back pain is common, in fact it is the number one cause of missed work in America, but you shouldn’t accept it as normal. Low back pain is NOT normal. We have been helping people in the East Bay who suffer with low back pain for over 30 years. Many have suffered so long they had lost hope of ever getting out of pain. They found relief and so can you. Low back pain can be caused by many different things. From posture to heavy lifting, and too much sitting to the way we walk. Regardless of the type of low back pain you have, most likely there isn’t one single cause. Your low back pain is probably coming from a combination of things, and the reason you haven’t found the relief you are looking for is because you are missing something. Many back pain sufferers don’t realize how much their posture can affect their back pain. 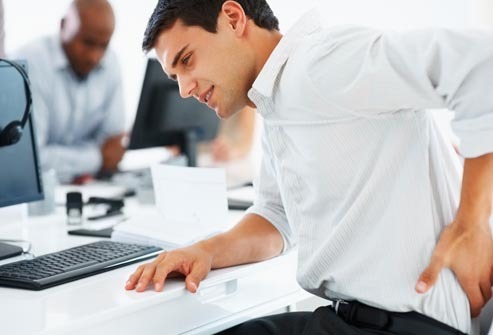 Things such as tight hip flexors, desk jobs and back misalignment are HUGE contributors to back pain. In fact, if your back is ever sore after sitting or you can push in with your fingers and find any tightness in the muscles along your back and pelvis, we can promise you that your posture has a lot to do with your back pain. We would love the opportunity to help you find the back pain relief that you deserve. During your first appointment you will have a consultation and exam that is focused on helping uncover the cause of your back pain. If we can help, we will recommend the most conservative and effective treatment for your unique situation.